Live Healthy Appalachia is excited to be a part of FEAST, an initiative led by the Hunger Prevention Coalition in partnership with the Athens County Public Libraries, Community Food Initiatives, and OSU Extension SNAP Ed. 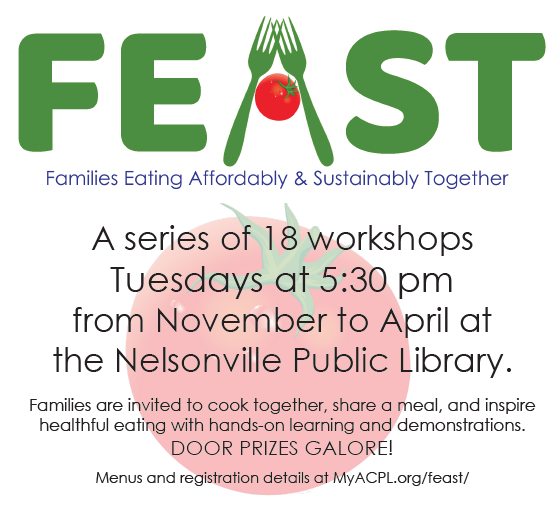 Visit MyACPL.org/FEAST/ to view the list of all 18 workshops! Contact us at (740) 856-6100 for more information.